Phil Mickelson acknowledged that he deserved the backlash he received following his bizarre error at the U.S. Open. The five-time major champion deliberately putted a moving ball at Shinnecock Hills, earning a two-shot penalty, and was again in the spotlight three weeks later when he patted down some long fescue rough in front of a tee box during A Military Tribute at the Greenbrier Classic. 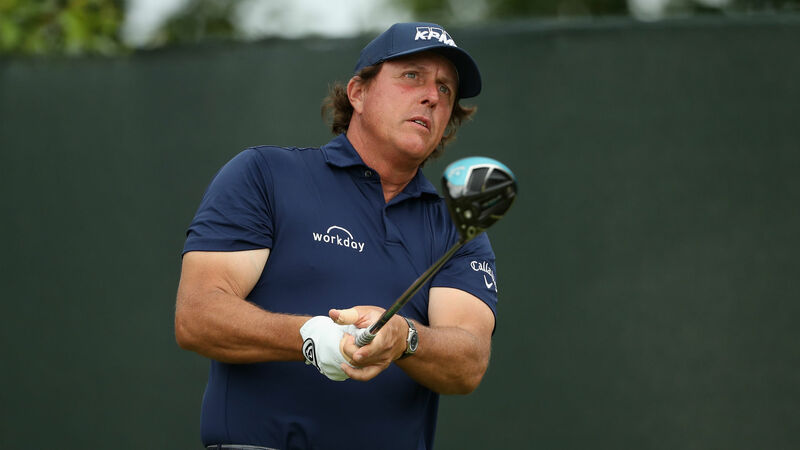 Assessing the two peculiar incidents, Mickelson admitted he endured a “rough month” as he struggled for an explanation for his “dumb” actions. “I’ve had a rough month. I haven’t been my best,” he told reporters. “I’m working at trying to fix that. “I made a big mistake [at the U.S. Open] and I wish I could take it back, but I can’t. There’s not much I can do about it now other than just try to act a little better. “The thing about this is, throughout my career, 25 years, there have been a lot of times where I have had to be accountable for decisions I did not make. “The reason why this has actually been easier is it was my own fault. The backlash is my own fault. It’s much easier to deal with than some of the times where I have not been involved in the decisions and had to deal with that.